RED WING IS ABOUT POTTERY and shoes and history. But it’s also about the river. The Mighty Mississippi. 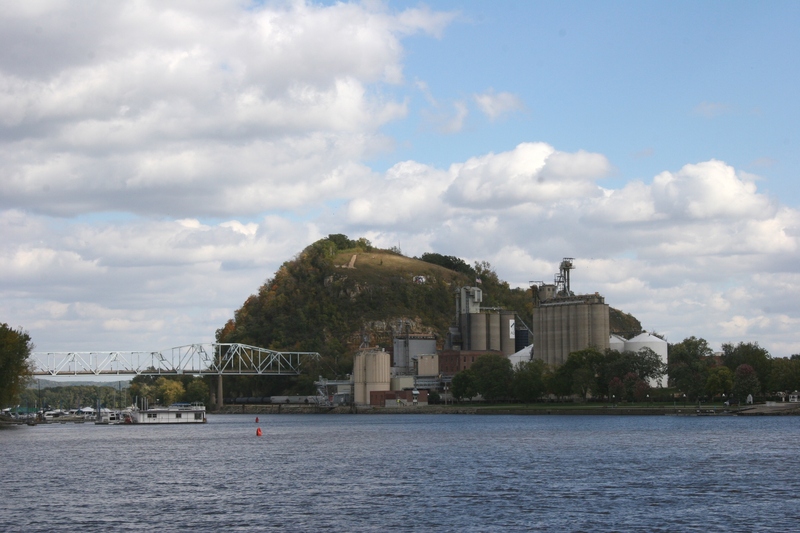 A view of Red Wing from the Bay Point Park area shows Barn Bluff and the bridge connecting Minnesota and Wisconsin. 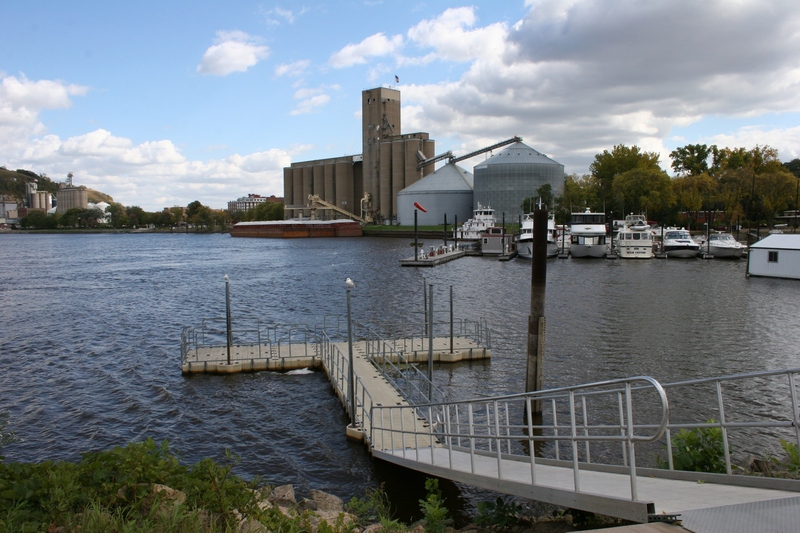 A brief visit to this southeastern Minnesota river town in the fall of 2014 led me to the water, to Bay Point Park, a lovely riverside respite. Here, on an afternoon when the autumn wind blew brisk with cold, I photographed boats, bluff, bridge, bins and boat houses. 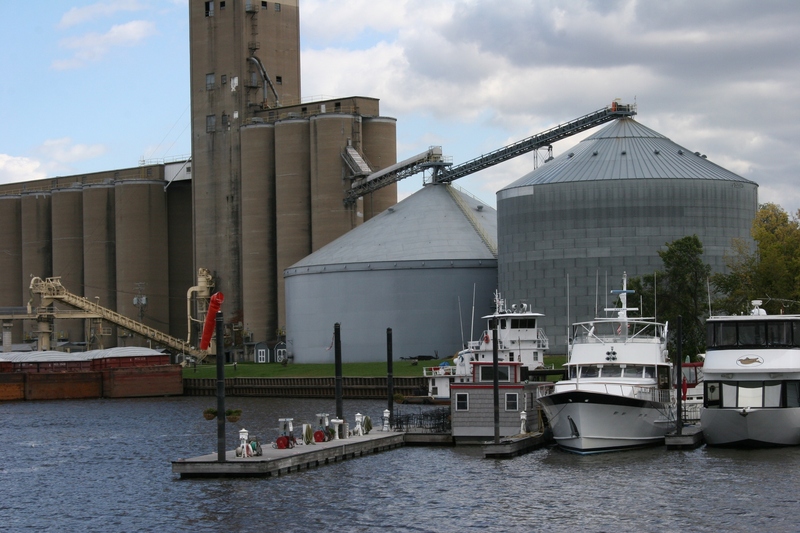 Recreation (boats) and commerce (grain elevator and bins) mingle along the Mississippi. Red Wing is one of those naturally beautiful communities where the muse of the river lures you in. Water does that. Here, standing in the park, I could see the commerce, the recreation, the history, the appeal and importance the Mississippi River holds in Red Wing. Another view from the Bay Point Park area. And I considered then what power this waterway possesses, flowing 2,350 miles from Lake Itasca in northern Minnesota, through towns like Red Wing, all the way to the Gulf of Mexico. 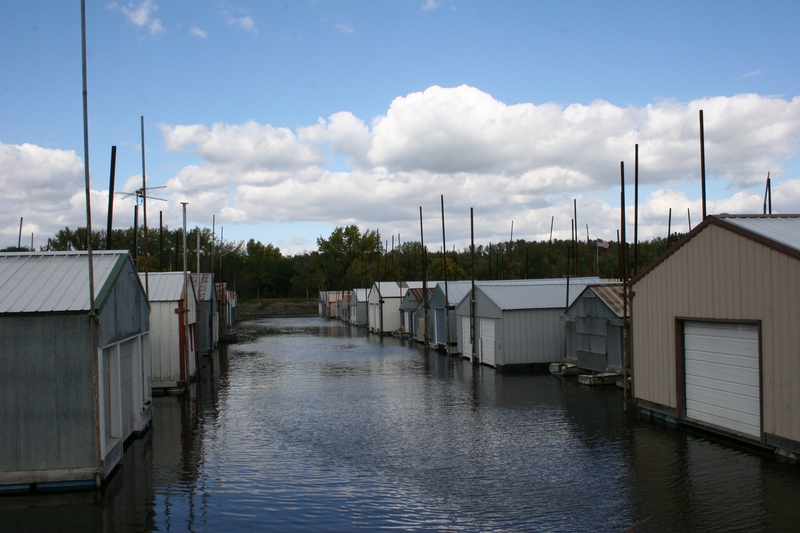 The historic Boat House Village draws lots of interest. 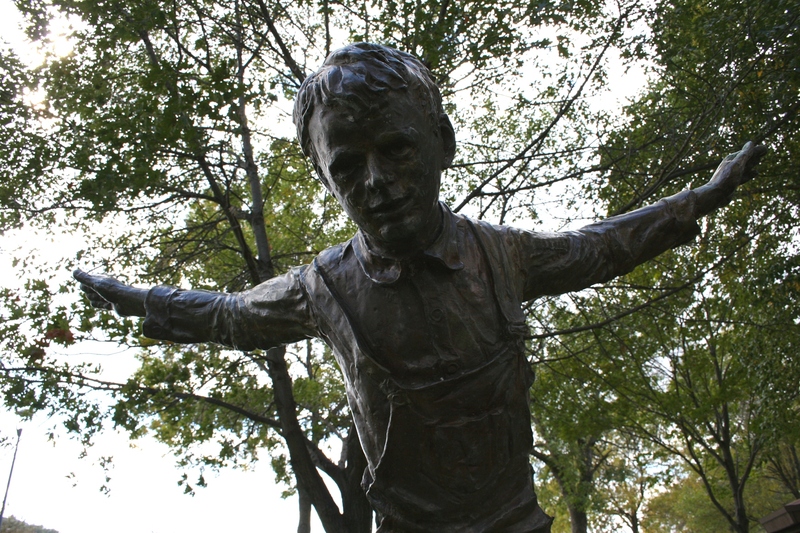 This sculpture of a young Charles Lindbergh, famous aviator born in Little Falls, MN., stands in Bay Point Park. Lots and lots of boats. 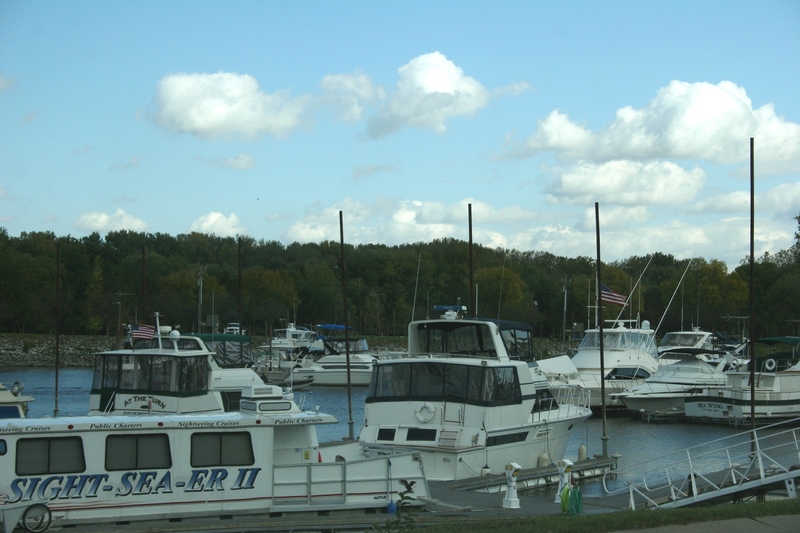 The city of Red Wing operates the Ole Miss Marina, in two locations in the city. 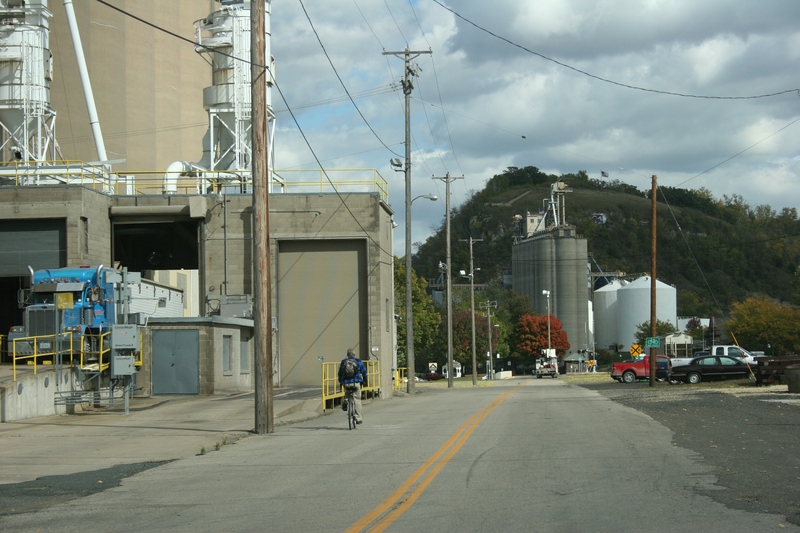 Trains run along the river by the grain elevators. The side tourists don’t always see, or photograph. 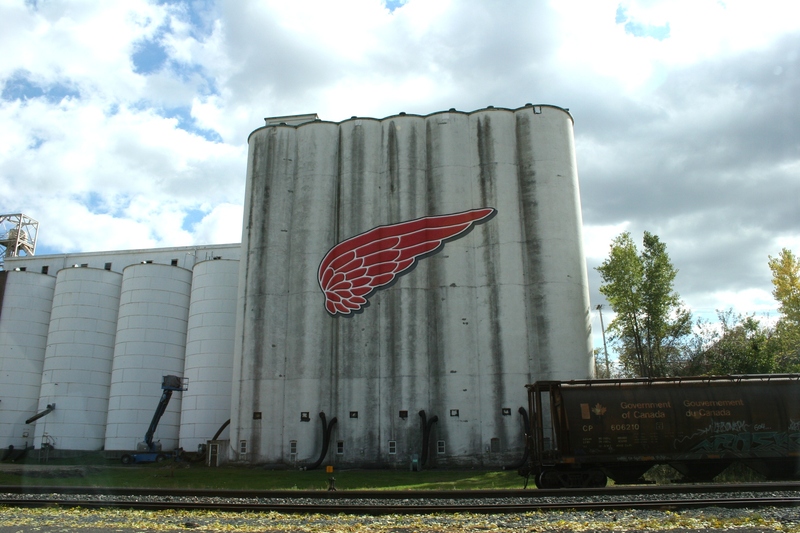 The iconic Red Wing logo graces a grain elevator. FYI: Click here and here to read my previous posts on Red Wing. I do love river towns.. These are great photos…I especially like the top one taken from Bay Point facing the bluff. River towns are also among my favorite towns to visit. Sadly, a new (in-process) hanger was quite destroyed in last eve’s storm (80 mph winds will do that, hmmmm?). Red Wing has always been a fave of mine……and my mom—especially, the St. James Hotel and it’s lovely Veranda Restaurant. From the images I’ve seen, that appears to be one strong wind that went through Red Wing. But what about you? Any flooding issues? It sounds like the LaCrosse area is really getting hit. Also Madison, where my second daughter and her husband live. So far their rental home, which is just a house away from a creek, remains dry. But more rain and storms are forecast for the capital city this afternoon. We are fine, although I’ve stayed home today (no stitching on the machines–too much lightening!). Last night was a tad ugly driving home late from a meeting. 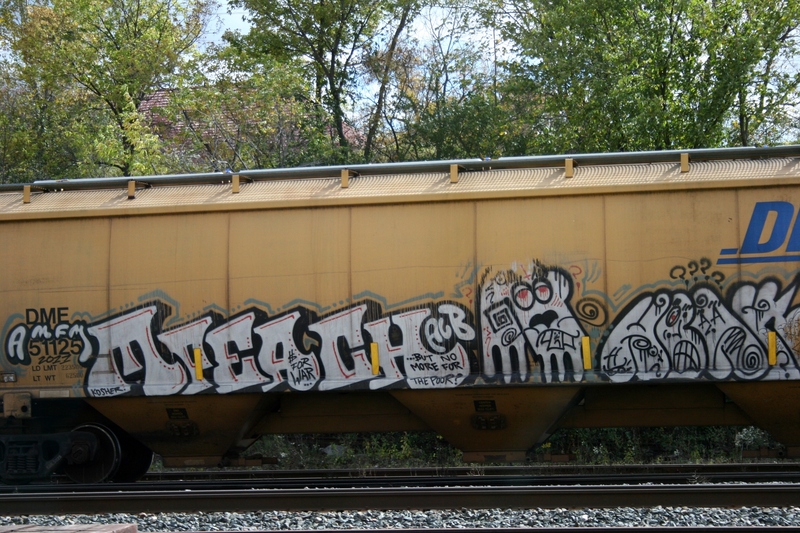 Brought back memories of ’07! Some areas have gotten over 10″!!!! Yes, LaCrosse has a bit of the flooded street ‘thing’ going on. The ground was rock hard from no rain so run-off was bad!!! So thankful you made it home from that late meeting. Ten inches are a lot of rain. Way too much at one time, me thinks!!! LOL! There’s something about water that draws me, and probably most people.